SNL Spoofs Black America's Love for POTUS in "How's He Doing?" 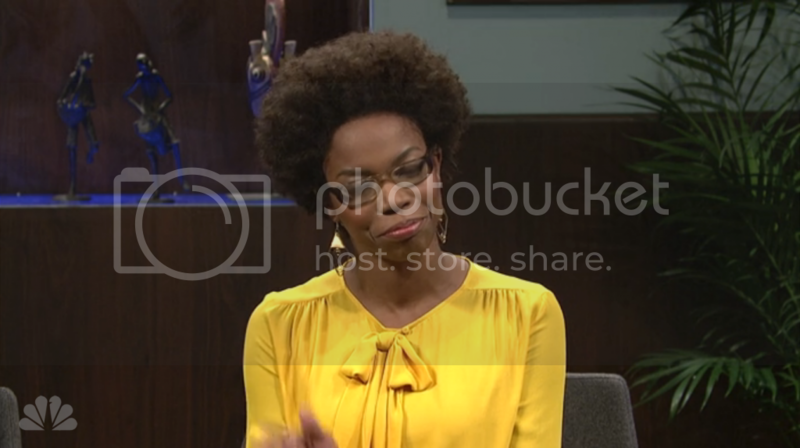 Home Chris Rock Sasheer Zamata SNL SNL Spoofs Black America's Love for POTUS in "How's He Doing?" SNL often gets it wrong, but this sketch from Saturday's episode with Chris Rock was a rare bright spot. In the clip, a panel of guests are presented with scenarios and asked whether or not they would sway their vote. The sketch wasn't perfect--an unfortunate quip about "Haitian style" locks made me cringe--but it was certainly good for a few laughs.